Thanks to Google Play for featuring Kono, an Artificial Intelligence(AI) mobile scheduler, as one of the New & Updated Apps today! 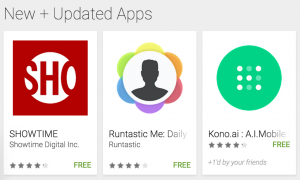 Kono.ai is now featured on Google Play Store in 97 countries! Start schedule smarter with Kono!